Covering Sutton Coldfield, Four Oaks, Streetly, Erdington, Great Barr, Tamworth & Lichfield areas, Abbey Removals is a family run business with over 30 years experience in home and office storage. 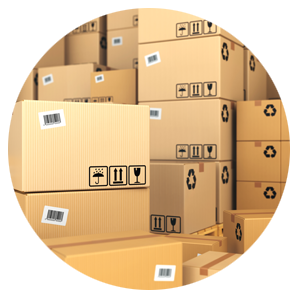 Abbey Removals provide a personalised storage service designed to fit your company requirements. Sometimes it is necessary to store house or office furniture and effects for long or short periods. Abbey Removals specialises in containerised and self-storage for home or office in Sutton Coldfield, Four Oaks, Streetly, Erdington, Great Barr, Tamworth & Lichfield areas. We offer two storage options. 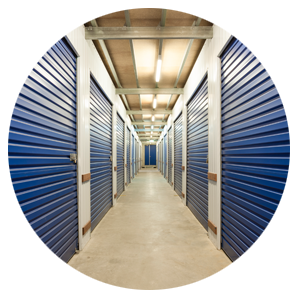 The first is our self-storage service, which offers easily accessible storage containers from 50 to 120 square feet with your own key, allowing you to pick up or drop off belongings as required. 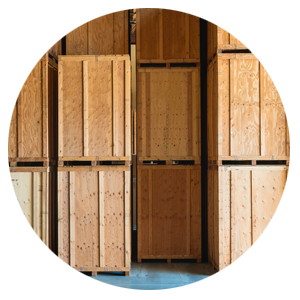 The second option, container storage, offers crated storage boxes which are located in our secure warehouse with prices starting from as little as £10 per week + VAT. Abbey provided an excellent removal and storage service when I moved into a smaller flat. You will be in the right hands if you choose Abbey. I am more than happy to testify to Phil’s high quality of service. His storage service is secure and efficient. Many thanks Abbey for all your help. Why use our storage options?